This podcast is devoted to my thoughts on business, Entrepreneurship, motivation and what it takes to build a culture of caring around yourself and your brand. In this episode, I work through strategies for finding your ideal work, life, and YOU balance. Often we get sucked way too deep into the work aspect and as a result, everything else suffers including the you time that we all need. Don't forget that your happiness has to come first or the rest of your life and those around you will suffer! Find your balance in work, your family and spend time on YOU! This week I'm joined by Kristi Duarte, where we talk about religion and not in a traditional sense. Rather we had an incredibly insightful conversation on the growth of religions, ideas that have come about to increase conversions and methods that have evolved to maximize retention. Neither she nor I came from a heavy religious background or upbringing, but she was inspired by a story of a traveler who experienced similar stories from different parts of the world. In this episode, I talk with Jessica Page about her life, finding a love for fitness, opening a gym and getting married in the same year, facing 2 bankruptcies along the way and finally pulling out of it and selling her gym. To pursue the S3 supplement success system and her new project Grind to Glory. This is an incredibly insightful and powerful look, Into the often hidden, emotionally taxing and depressing world of entrepreneurship and small business ownership... MUST LISTEN! In this episode of the People Project I sit down with my friend Gus and we talk through his struggles, wins and everything in between. Starting with seeing initial success in his life, losing it all through gambling and injury, contemplating suicide and finding a way to get the drive and heart to make a commitment to pulling out of it all and living his dream! 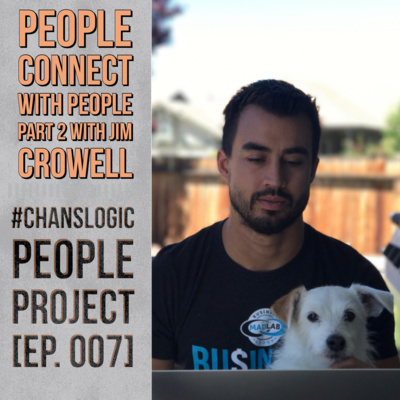 In this episode, of the People Project, I sit down with Jim Crowell CEO of OPEX an organization that provides the next level of education for professional coaches and gym owners. We talk about what it takes to build a successful gym, why people tend to connect with people, what the long-term game looks like, why branding is so incredibly important, Sales and why faking the funk with your brand doesn't make any sense! 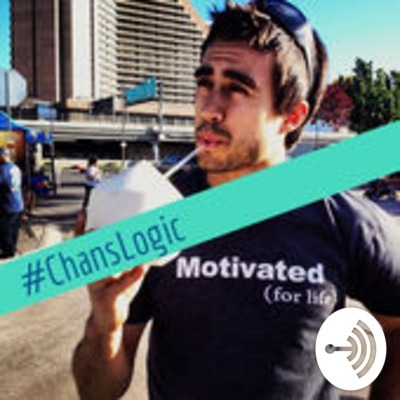 In this episode, I talk with Chris Mello about his journey from Southern California to South Dakota back to Southern California and finally back to South Dakota and why he ended up where he is at now. Then we dive into why you need to enjoy life in the way that makes the most sense to you and always work to be the best version of you! Finally, we dive into Chris's core concepts of: Temperate which means discipline Sober of Mind which means serious, Vigilante which means determined, Cautious which means careful and it all comes down to humility! In business and in our lives we often move our direction to what seems like the right place or to where we can help others or even worse to what other people think or say is the right way. The key to getting past all of this is to understand that you need a specific purpose and a simple path to follow. If you stray from that path it becomes incredibly difficult to become successful! Focus on the direction that is your core competency and core belief and work to only stray away if you're successful and testing new grounds! In this episode, I talk about why you need to build a spiderweb of growth around your business and why you should never depend on one specific platform or avenue to grow! In this episode, we talk about why we should start focusing on being kind rather than judging people based on our own preconceived thoughts, ideas, and feelings. Kindness starts with being empathetic and putting yourself in other people's shoes before you make judgemental calls about them or their appearance! In this episode, we talk about the Elephant and the Rider or the two different ways people think and react to situations, information and the content we put in front of them. The Elephant is the irrational, brash and emotional side of the brain. While the rider is the analytical, thoughtful and critical thinking side of the brain. When dealing with people in business, marketing, politics etc we have to learn to speak to the elephant first or the rider will quickly be pushed aside and become overwhelmed. 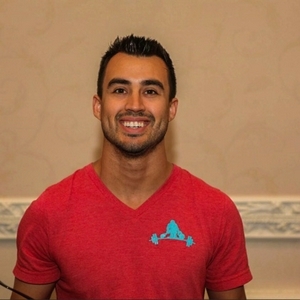 In this episode I talk about capturing attention and creating demand in the consumer mindset. In this episode we talk about the changing mindset and the changing tides and evolution people experience in business and in life! In this episode I talk messenger Bots and membership sites! In this episode I talked about building and creating processes in your business. In this episode of my podcast, I talk about something that has been on my mind lately after a great question I answered a few weeks ago. In this podcast, I go over the strategy to build and create calls to action that drive the right leads to your business and not just random leads. It all comes down to building an effective relationship and telling the stories your best customers can't wait to tell! I hope you like it as much as I enjoyed talking about it! Please leave a review if you listen to it!